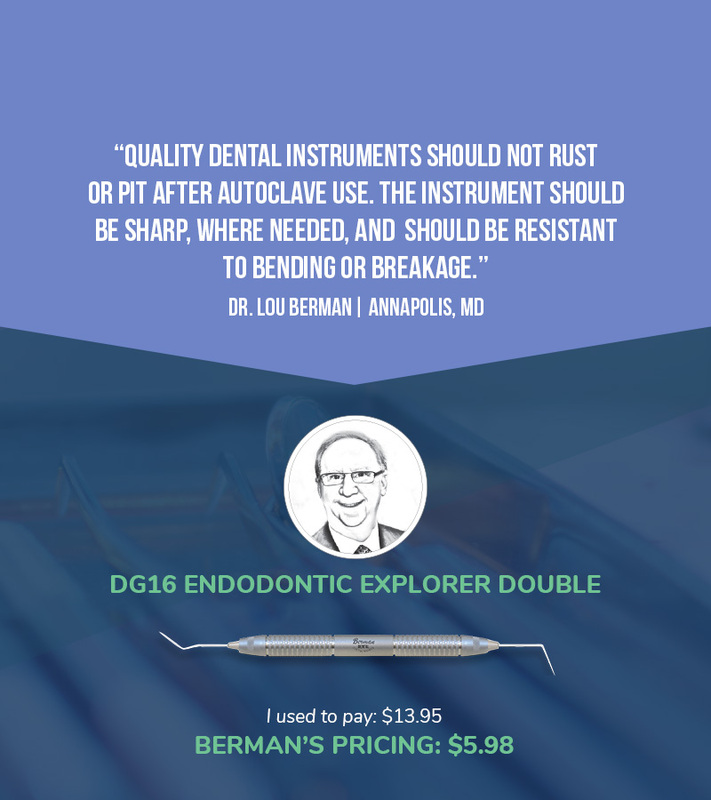 The owners of Berman Dental Instruments are dentists, and they know what you want: High quality instruments at incredibly low pricing. We found that we can manufacture high quality dental instruments and sell them directly to you for 50% LESS. Purchase quality dental instruments directly through us, without paying premium pricing. Quality dental instruments should not rust or pit after autoclave use. The instrument should be sharp, where needed, and should be resistant to bending or breakage. Dr. Berman received his dental degree from the University of Maryland School of Dentistry and his Certificate in Endodontics from The Albert Einstein Medical Center. He is a Clinical Associate Professor of Endodontics at the University of Maryland School of Dentistry and a Clinical Instructor and Guest Lecturer at The Albert Einstein Medical Center. He is past president of the Maryland State Association of Endodontics and is a member of the Journal of Endodontics Scientific Advisory Board. Dr. Berman is the co-author of the chapter on Diagnosis and the chapter on Root Fractures in Cohen’s Pathways of the Pulp, for which he is the co-editor with Dr. Kenneth Hargreaves. He is also the senior editor and contributing author of the comprehensive textbook, Dental Traumatology. A board-certified endodontist and Fellow of the American College of Dentistry, Dr. Berman has been in full time private practice in Annapolis, Maryland for the past thirty-four years. Why did you start Berman Dental Instruments? When I found out how much a mirror handle actually costs to produce, my jaw dropped. I started this company because there was no way I was going to continue paying “standard” industry pricing. 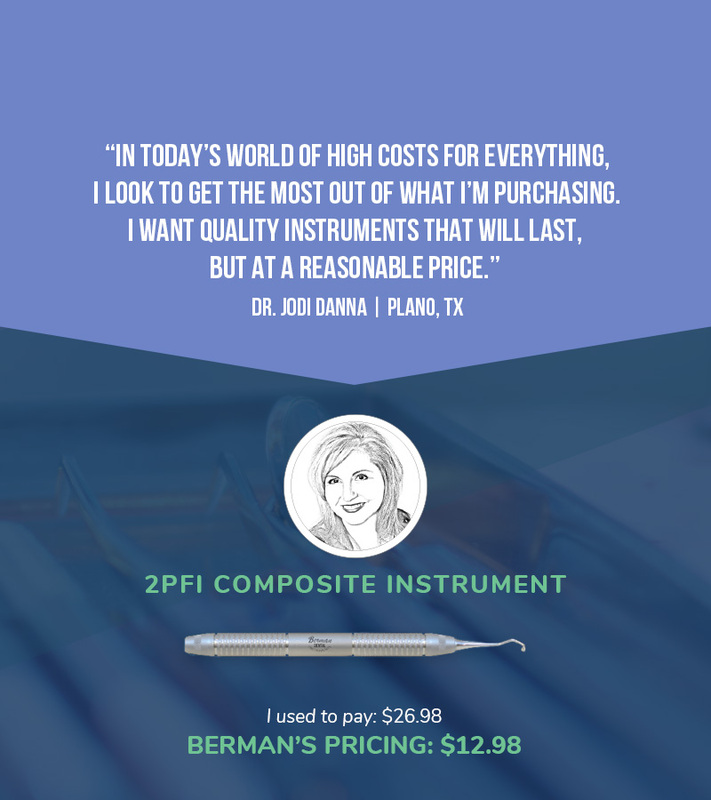 Berman Dental Instrument’s approach is simple: Provide high-quality instruments that are fairly priced. We’re offering a solution to those who are tired of being taken advantage of. What I wanted for myself, in a dental company, I am striving to provide to my colleagues. 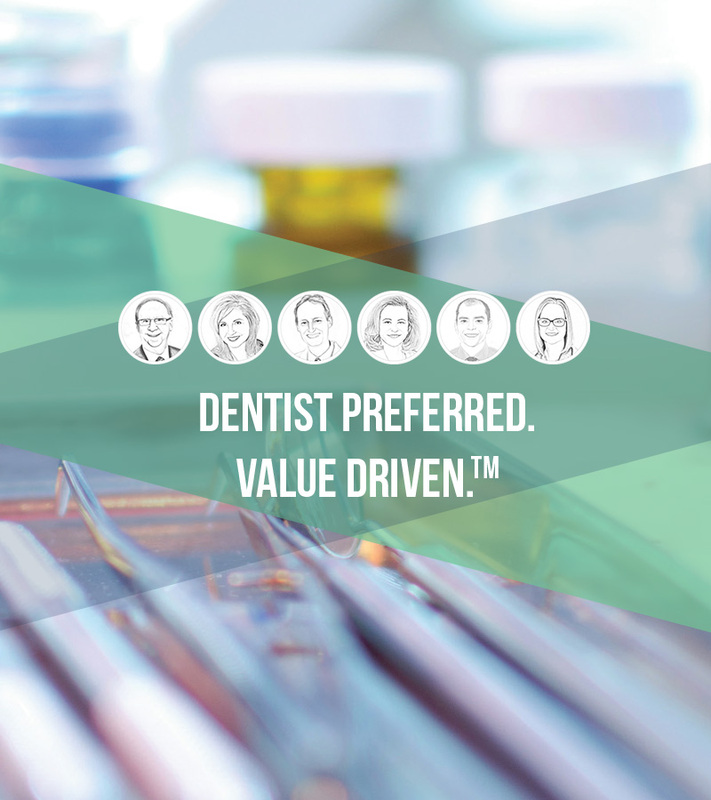 Why is value important to you and the Berman Dental Instrument team? Value means getting more for your money. We also value one another, our time, and the quality and dependability of the instruments we sell and use in our own practices. High quality instruments at a low price, that’s value. What do you look for when purchasing dental instruments? Quality dental instruments should not rust or pit after autoclave use. The instrument should be sharp, where needed, and should be resistant to bending or breakage. And, I very much prefer a wider handle design for periodontal scalers and curettes. In today’s world of high costs for everything, I look to get the most out of what I’m purchasing. I want quality instruments that will last, but at a reasonable price. Dr. Jodi Danna is a cosmetic dentist, educator and mentor. She is a Fellow in the Academy of General Dentistry, the American College of Dentists and the International College of Dentists. Dr. Danna is dedicated to providing each patient with personalized, compassionate cosmetic and restorative dentistry by educating each patient individually and utilizing the latest technological advances. Her ultimate goal is to provide her patients with premium dental care, regardless of their situation. Dr. Danna attended the University of Texas majoring in biology with a minor in chemistry. Prior to attending dental school Dr. Danna was a dental assistant/office manager. She attended Baylor College of Dentistry earning her DDS degree in May, 1995. Dr. Danna received her Advanced Education in General Dentistry certificate in May, 1996 and attained her Fellowship from the Academy of General Dentistry in August, 1996. 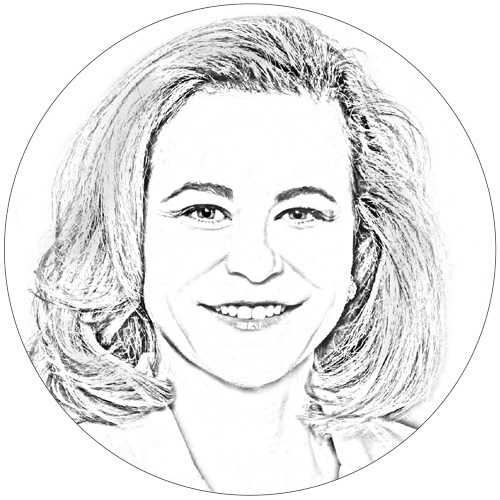 While completing her AEGD training, Dr. Danna also completed a comprehensive restorative continuum achieving her certification in 1995-1996 with the Las Vegas Institute, a post-graduate dental learning institution specializing in comprehensive diagnosis, contemporary techniques and technology. She was awarded the New Dentist of the Year award by the Dallas County Dental Society in 2000. In 2002 Dr. Danna opened The Danna Smile, a general dental practice specializing in cosmetic and restorative treatment in Plano, Texas, a suburb of Dallas. She continues to maintain a full-time private practice performing all phases of restorative dentistry. Dr. Danna is a guest lecturer at Baylor College of Dentistry as well as a Preceptor mentor. Dr. Danna is very active in organized dentistry serving on the Board of Directors and on numerous committees for the Dallas County Dental Society, Texas Dental Association and the American Dental Association. She is the Conference Chairman for the 2017 Southwest Dental Conference and a delegate for TDA and the ADA. She also serves as President Elect of the Dallas County Dental Society for 2017-2018. She maintains affiliations with the American Academy of Cosmetic Dentists, the Academy of General Dentistry, and the American and International College of Dentists. In today’s world of high costs for everything, I look to get the most out of what I’m purchasing. I want quality instruments that will last, but at a reasonable price. Berman Dental Instruments cuts out the additional marked up costs, without sacrificing quality. Who wouldn’t want a good instrument at a lower price? Berman Dental Instruments is “Dentist Preferred. Value Driven.” As a cofounder of this company, we put our heart and soul into assuring that dentists come out ahead financially when purchasing instruments. I am proud to be a part of that mission. I want instruments that don’t wear after prolonged use. That means no rusting, pitting or bending. It’s also important how they feel in my hand. I appreciate the ergonomic feel of a wider, lighter handle. Lastly, but certainly not least, cost. I’m tired of overpriced instruments. What Berman Dental Instruments do you recommend? As a general dentist, I’ve had the opportunity to perform procedures that span all aspects of dentistry. I am enthusiastic about the basic setups. The cotton pliers have long working ends that I’ve come to love. The extraction forceps are great and feel good in my small hand. And, my hygienists appreciate the quality of the hygiene instruments. If you don’t have enough instruments, the flow of your day gets held up by the working time of the autoclave. 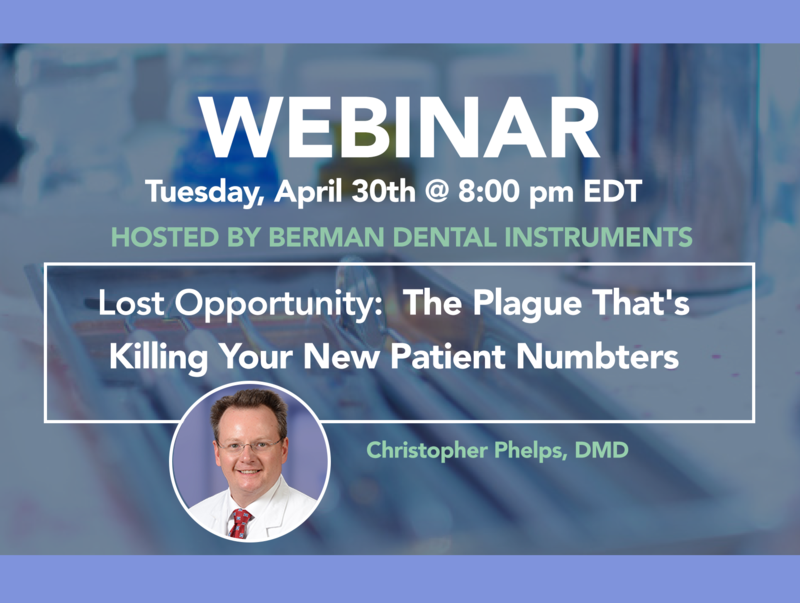 Berman Dental Instruments allows dentists the ability to double their current instrument inventory without doubling their cost. Dr. VanderMolen received his doctorate of dental surgery from the University of Illinois. He then completed a hospital and advanced dental residency at Bethesda Naval Hospital. He was rated as the top Navy dentist in Europe and earned the Navy Achievement Medal for superior performance of duty. He completed his Naval service as a Lieutenant Commander in Pensacola, Florida. Dr. VanderMolen practices in Springfield, IL. He has a team of 30 including two associate doctors. He is a Fellow of the Academy of General Dentistry. He is a member of the American Dental Association, Illinois State Dental Society, Chicago Dental Society, International Congress of Implantologists, Crown Council, Dental Organization for Conscious Sedation, the American Dental Society of Anesthesiology, and is a Diplomate of the International Dental Implant Association as well as a Master Affiliate in FastBraces. 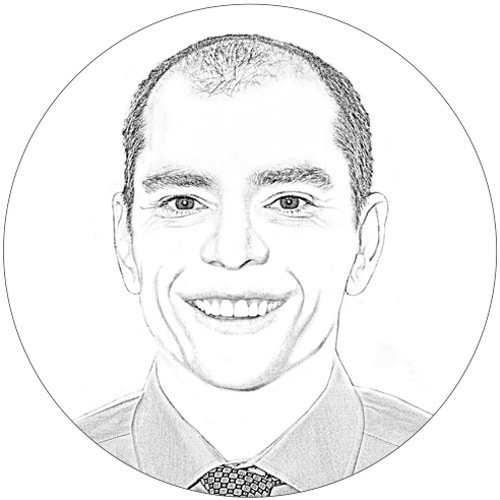 He is a self-proclaimed “dental nerd,” and he is passionate about being of service to his patients, to his team, to his community, and to other dentists. Dr. VanderMolen is an author about succeeding in business, and is a dedicated student of successful business and leadership principles. Combining these principles into his general dental practice creates what he calls, “The Principled Practice.” This type of practice yields excellent growth and profitability while nurturing the team’s personal growth and maintaining optimal patient care. Dr. VanderMolen enjoys coaching good dentists to become great dentists. What instruments do you recommend? Almost all the instruments are a part of my armamentarium. They work well in my hands. For me, it’s all about efficiency. If you don’t have enough instruments, the flow of your day gets held up by the working time of the autoclave. 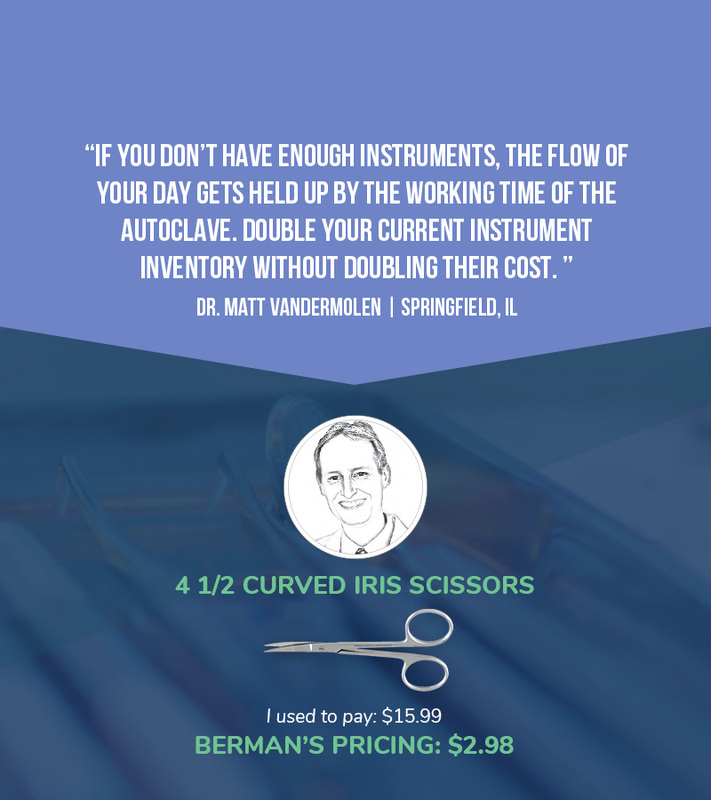 Berman Dental Instruments allows dentists the ability double their current instrument inventory without doubling their cost. Value means saving money so I can, in return, do more for the people I serve. If I can get more out of my time, effort and/or money, I can multiply the amount of services I provide. Finding value and using it to increase services to help others is a recipe for success. Quality and precision. Dental instruments are an extension of the type of dentist who uses them. No other instrument company that I’ve dealt with has ever had as much input from active, practicing dentists. 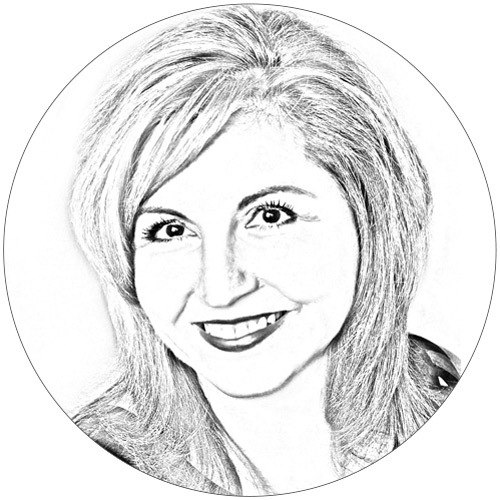 Dr. Pamela Ray is a Board Certified Periodontist in private practice in San Antonio, Texas. Dr. Ray graduated from UT Health Science Center San Antonio Dental School in 1989 and completed her periodontal training under Dr. Jim Mellonig in 1991. She received her Diplomate status from the American Board of Periodontics in 1996. Dr. Ray entered solo practice immediately and remained an associate professor at UT teaching undergraduate dental students. She has lectured extensively on the topics of periodontal disease treatment, bone grafting, soft tissue grafting, and periodontal restorative relationships for natural dentition and dental implants. She also enjoys lecturing to dental hygienists on the topics of periodontal and implant maintenance. 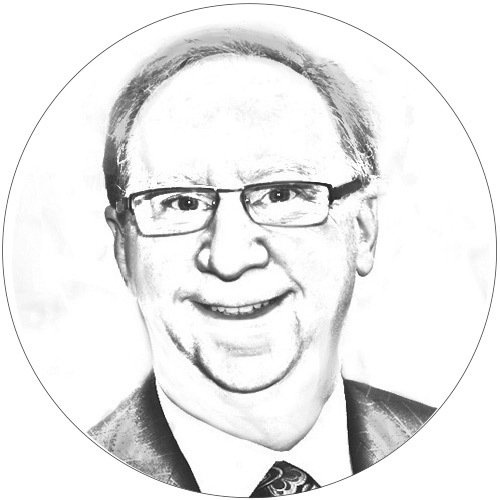 Dr. Ray has served as President of local, state, and regional periodontal societies. Her service nationally to both the American Academy of Periodontists and the American Dental Society has involved membership recruitment and retention and service on the Councils of the ADA Annual Session and Communication. She is a Fellow in the International College of Dentists and a Fellow in the American College of Dentists. She is most proud of these peer nominated, ethics and service-based affiliations. Getting something of quality for a good price. It may not be the least expensive option, but for the quality it is fairly priced. Quality, durability, and pricing. If there is a workhorse instrument that I go through often, getting it at a good price can really make a difference for my bottom line! Be a smart consumer when it comes to purchasing dental products. Do your research and don’t over pay on pricing for the same product you can find at a better price elsewhere. Why do you prefer Berman Dental Instruments to other dental instrument companies? Not all instruments are the same. Berman Dental Instruments feel great in your hand! Whether your hands are large or small, these instruments are wonderfully made and feel great. 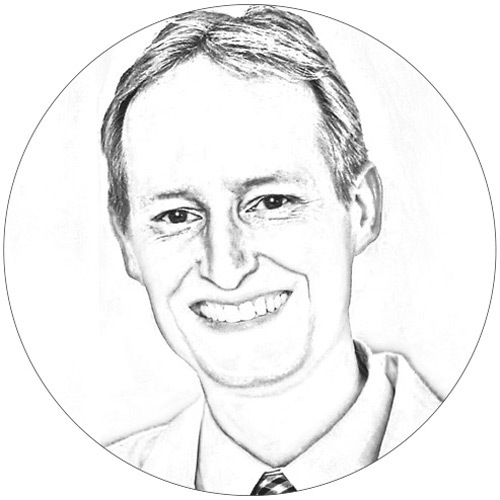 Dr. John Phillips is a lifelong resident of Chickasha, OK. He graduated from Chickasha High School in 1988 and attended undergraduate studies at the University of Science and Arts of Oklahoma. He furthered his education at the University of Oklahoma College of Dentistry, where he received his Doctor of Dental Surgery (DDS) in June of 1996, and opened his practice in the fall of that year. In 1998, he was voted the Crown Council Young Dentist of the Year, which opened the doors for him to learn from the top cosmetic and restorative dentists in the nation. He is a member of the American Dental Association, Oklahoma Dental Association, American Academy of Cosmetic Dentists and a founding member of the Dental Organization for Conscious Sedation. As clinical instructor, he has taught other doctors how to safely incorporate sedation dentistry into their practice. He aspires to always be on the cutting edge of dentistry and strives to be competent in all the dental advances of today. He is continually learning new techniques and always wants to offer his patients every treatment option available. His purpose as a dentist is to always listen to his patients and give them exactly what they want and need. Nothing frustrates me more than paying more for something than I have to. Berman Dental Instruments offers high quality instruments at half the price. These instruments will change the way you practice. For example, at this pricing you can have more surgery setups, which means more procedures, better efficiency, and more same-day services. Not all instruments are the same. Berman Dental Instruments feel great in your hand! Whether your hands are large or small, these instruments are wonderfully made and feel great. I prefer Berman Dental Instruments because the company is dentist owned; the instruments work perfectly for me and they are priced appropriately. If you could go back and give your younger-self dental advice, what would it be? I would tell myself to be aggressive with constantly learning more, especially atraumatic extraction techniques. There is so much to learn! Our patients have a lot of options, especially if we are conservative with their teeth and bone. To me, value means getting a lot for my money in terms of performance and affordability. I want quality equipment that performs like a workhorse, and doesn’t break the bank. Dr. Creech-Gionis earned her BS in Biology with a minor in Chemistry from Stetson University, and went on to graduate in the top 10% of her dental school class at University of Florida College of Dentistry, where she was inducted into the prestigious Omicron Kappa Upsilon dental honor society. She has owned three successful general dentistry practices in Tampa, Florida and enjoys the process of practice start-up and development. She is a member of the American Dental Association, the Academy of General Dentistry, the America Academy of Implant Dentistry, the American Dental Society of Anesthesiology, and is a Fellow of the International Congress of Oral Implantologists. 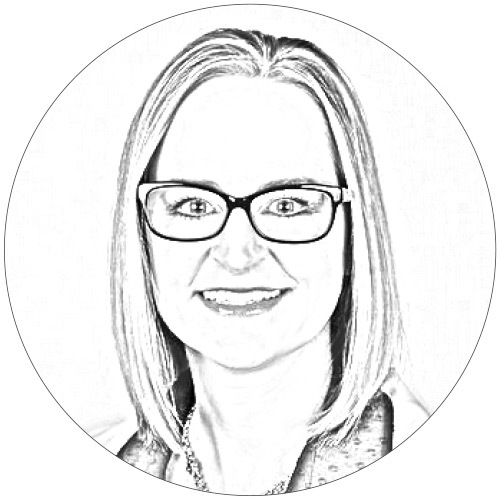 Dr. Creech-Gionis has a passion for continuing dental education and furthering her skills in order to provide her patients the services they deserve. Dr. Creech-Gionis has been involved with international dental missions, including several trips to the Dominican Republic and Guatemala. She volunteers her time to a local community dental outreach clinic, providing care to underprivileged members of her city. She is passionate about the concept of the general dentist becoming proficient in all aspects of dental care in order to provide patients with the utmost in continuity of care. She has completed, and continually seeks, advanced training in implant dentistry, orthodontics, soft tissue surgery and IV and oral sedation. These instruments were designed by a group of general dentists and specialists who care deeply about the success of their fellow dental colleagues in everyday practice. Every detail, from the choice of steel to ergonomics to affordability, has been painstakingly thought through. One would expect the line to be expensive given the quality. However, they’re some of the most affordable instruments I’ve ever seen! As a matter of fact, the iris scissors and mirrors are so affordable that I no longer have to suffer using dull scissors that won’t even cut retraction cord without fraying or mirror surfaces that are nicked and scratched. I simply replace these instruments without a second thought. Great quality instruments at practically disposable prices. Love that! I look for instruments that don’t corrode, discolor or become sticky around the hinge areas when I sterilize them over and over again. I look for reasonable prices, and I want to be able to easily find and order the instruments I use the most, without having to chase down my dental rep or pour through a catalog of obscure instruments that I don’t need. I want to know the price of the instrument at a glance; nothing irritates me more than seeing an instrument with no listed price. Why is it a secret? It makes me wonder if I am getting the same price as everyone else. The extraction forceps are excellent! They are very comfortable and balanced in my hand, and the surface of the handles are designed to be easy to grip without being rough and sharp on my hands. I also like the curettes, which is perfectly designed to precisely separate the gingiva from around teeth that I am extracting or reflecting tissue from. It stays sharp, and the wider barrel handle is easy for my small hands to grip without fatiguing. 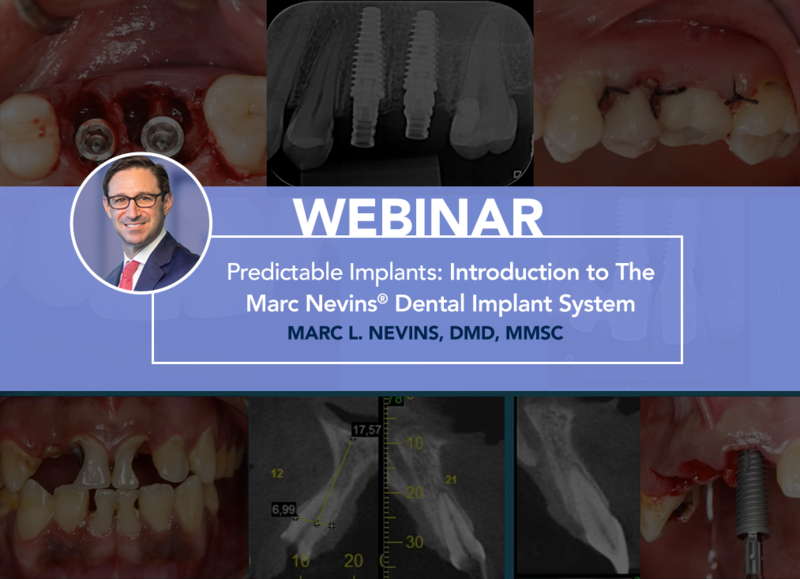 Webinar Recording: Learn modern dental implant technology and protocols that are designed to increase predictability and improve workflow. Stay tuned with our latest news & never miss the next sale!